Beautiful, strong, sturdy, and inviting — these are all words that describe the style of an American Craftsman. So it’s no wonder many homeowners embrace this form of architecture on their home’s exterior and interior. The Craftsman is a popular home style in St. Louis and across all of the United States. If you are looking to make some inviting and impactful interior and exterior improvements, look no further than Lakeside Exterior to create the charm of a Craftsman’s home. The term Craftsman was derived from the Arts and Crafts movement of 19th century England. However, these homes are the epitome of American design in the early 20th century. The term explains the movement of craftsmanship in homes versus the mass production of materials that came with the industrial revolution. The Arts and Crafts movement steered clear of the extravagance of the Victorian style, instead opting for clean and “handcrafted” materials. It was Charles and Henry Greene, two American brothers living in California, who truly made the style popular. They pulled inspiration from England’s Arts and Crafts architecture. And the result is a home style that is still widely sought after today. Craftsman homes have a strong yet inviting presence that make those who enter their doors feel immediately at home. As the first thing guest notice when they come for a visit, you want to achieve the Craftsman charm on your home’s exterior before moving inside. Porches are a staple of the Craftsman home. 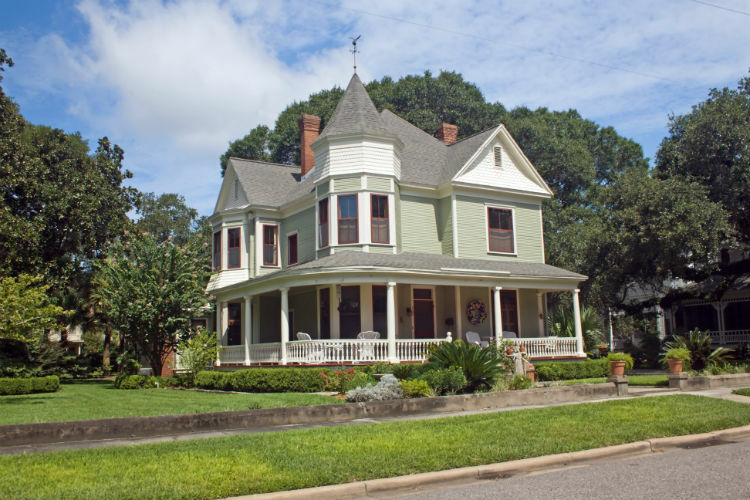 Whether small or large, Craftsman homes will have inviting porches with sturdy columns and hearty railings. They typically have low overhanging eases and columns that are wider on the bottom and smaller at the top. True to the dedication of hearty home materials, Craftsman homes boast earthy tones and resources. Muted, natural paint colors are often accompanied by stone edging all around the home or on columns. Natural wood also adorns its surfaces. Exposed wood gable adornments are a statement piece, while raw wood doors and windows create the perfect finish. Flat home exteriors are simply boring. The more unique features that can attract the eye, the more charm and appeal your exterior will have. And Craftsman homes are filled with charm. Adding dormers as an exterior improvement will do exactly that. Dormers do not always have to serve a practical purpose (though oftentimes they do); sometimes, they are simply used for exterior decoration. Craftsman homes are well known for their unmistakable windows and doors. Most doors are solid wood with heavy wood trim surrounding them. (Although the current market provides many material options for doors.) The upper third of the door is distinguished by windows to allow for dimension and interior light. Double hung windows with numerous pains are the most common window style. Much of the time, they are exposed wood, but modern options provide a variety of colors to suit the home as well. And new windows and doors do more than just make your home look like a Craftsman. They are an added source of protection and help increase the energy efficiency of your home. So if you want to make exterior improvements and save money at the same time, consider installing replacement windows and doors. Moving inside, Craftsman style homes are inviting and cozy in their design. They rely on natural elements and muted tones. It’s the workmanship that really speaks to the nature of the home. Here are some ways to add Craftsman charm to your space. You can’t have a Craftsman without trim. Craftsman homes are well known for their large, statement trim, which is typically stained wood. To get the look, add hearty trim around caste openings, floors, doors, windows, crown molding, and any other areas that need to be accentuated. 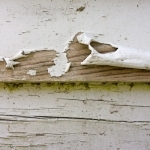 You can opt to paint the trim, the most common color being white. Wainscoting is a decorative wall trim that covers the lower three-fourths to half of a wall. It was originally used to help insulate a room and provide a sturdier material than drywall. However, it is currently more commonly used to beautify a space. Wainscoting can be natural wood (which is the most traditional form), but it can also be painted to match your home’s aesthetic. While beadboard is a well-known term, it is actually a type of wainscoting, as is board and batten. No matter which you prefer, these forms of architectural detail will give your space that homey, Craftsman feel. And while both styles can be used to enhance your walls, beadboard can also give architectural detail to a ceiling. Don’t forget about the ceiling of your home. In a Craftsman, the character is everywhere, and beams are the most common way this style of home achieves it on the ceiling. Long wooden beams can be run across the length of your rooms, or box beams can be used to create visual interest. Any of the design elements mentioned above can fall into this category, as can a plethora of others, but exposed wood remains a cornerstone in Craftsman design. The warm inviting nature of raw wood gives homeowners durable materials that also make a space beautiful. Leaving wood trim raw or stained, exposing the natural grain of wooden beams, or installing a raw wood fireplace mantel is a great way to bring wood into the home. Your house can be a place you are proud to come home to. If you have been desiring the inviting look of the Craftsman, our Lakeside team is ready to help. 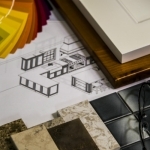 We offer a design process that will allow you to see your home come to life before any portion of your home is ever touched. And once we have your approval on the design, our team helps the exterior improvement process run smoothly. Schedule a free exterior design consultation with us, and let’s make your Craftsman dream a reality.